IBM is creating solutions to connect the global healthcare delivery system. A recent IBM Institute for Business Value survey found the trailblazers of blockchain adoption will focus on three areas. Which industry is the most progressive? Healthcare won’t appear on most lists. A recent study by the IBM Institute for Business Value revealed that, surprisingly, healthcare executives are setting the pace of blockchain adoption. The survey, conducted for IBM by The Economist Intelligence Unit, found that 16 percent of healthcare executives expect commercial blockchain solutions at scale by 2017. Integrating artificial intelligence with machine learning, experimenting with virtual reality, and robotic process automation are several of the ways that healthcare executives are capturing the benefits for patients while skillfully dodging regulatory compliance obstacles. The business of disruption is not where you’d expect it: at the patient experience. Patient interactions, while marginally improving, are not dramatically transforming. There are pools of revolution here or there, but largely a firm grip on the status quo. The major shift of transformative innovation is happening with the introduction of new business models, and blockchain is positioned to lead this charge. IBM brought together an impressive group of leaders to design and execute the study of 200 healthcare executives across 16 countries from payers to providers. IBM employees incude Sean Hogan, global industry general manager for healthcare and life sciences; Heather Fraser, global healthcare and life sciences leader; Peter Korsten, vice president global thought leadership and eminence; Venna Pureswaran, blockchain research leader, and Ramesh Gopinath, vice president for blockchain solutions and research. The core IBM team was reinforced by amazing industry contributors, including Nicky S. Hekster, Srinivas Attili, Sushell K. Ladwa, Anthony F. Trenkle, Richard Hennesy, Don Ness, April Harris, Christine Kinser, Joni McDonald, Smitha Soman, Anne-Marie Weber, Kristin Biron and Lauren White. Together the team produced an insightful analysis of the complex world of blockchain technologies and defined the new vectors for growth and disruption. What was the cadence and pace of healthcare trailblazers? How would new benefits and business models significantly reduce the time, cost and risks associated with how they operate? Where would the new vectors for growth and disruption occur, shifting profit pools? How fast should executives adopt blockchain for their organizations? Medical device data integration (cited as an area of "some disruption" by 65 percent of the respondents). Medical and health records (42 percent). Clinical trial records (40 percent). Adverse event safety monitoring (39 percent). Medication and treatment adherence (36 percent). Billing and claims management (33 percent). The survey results indicated that disruption rarely emerged from a single process. Transformational innovation forms when organizations voluntarily or involuntarily reconsider organizational boundaries. North American respondents lagged other regions, with only 8 percent identifying their organizations as trailblazers. Initial first-mover advantages appear weak. The value of early collaborations and new partnerships has yet to be defined. The IBM Institute for Business Value blockchain survey called out nine frictions that blockchain is expected to significantly impact. A reduction of misinformation improved interactions and accelerated healthcare delivery by reducing intermediaries prove the most impactful. As boundaries between payers and providers become less visible, it’s apparent that data verification and cost delay frictions impact trust. How will organizations respond to blockchain opportunities? Executives are answering with additional investments in blockchain technologies. The private sector of healthcare requires patients to trust. Trust that patient medical information is protected. Trust that treatment is appropriate to the symptoms. Trust that the care patients receive is the best care tailored to their needs. The value of blockchain is not about the technology. Blockchain's value is harnessed in the transformative effect of new business models — business models based on "truth not trust." Blockchain provides proof. Proof that patient medical information is protected. Proof that patient treatment is appropriate. Proof that patient care is personalized. The IBM Institute for Business Value report gives executives a foundation to be curious. Executives are encouraged to ask questions and inquire on how these components work together to produce value. The healthcare trailblazers are empowering patients to claw back their data as trusted peer-to-peer care networks compete for on-demand services. 9 in 10 healthcare organizations by 2018 plan to finance blockchain applications initiatives. 16 percent of healthcare trailblazers expect to have a commercial solution at scale by 2017. 6 in 10 healthcare trailblazers anticipate blockchains will help them access new markets and keep trusted information secure. For more detailed information and use cases download the full report. The report prepares executives to ask the right questions — keeping patients at the center. 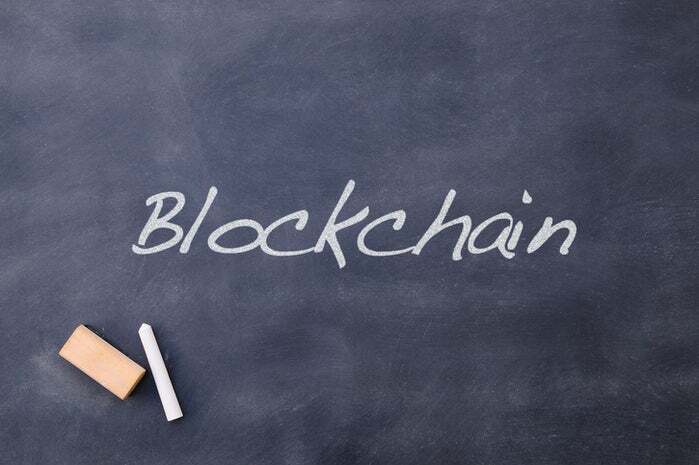 For additional information on blockchain, please refer to the below links highlighting the transformational effect of this technology to transform existing business models. Be part of the healthcare rally for blockchain.